Check in time is 3:00 pm to 7:00 pm. Please call in advance for late check in arrangements. There is a 2 night minimum for weekends and holidays. 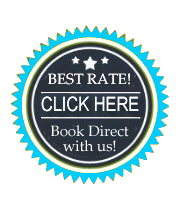 There is a 11% room tax not included in the room rate. Smoking: The Joshua Grindle Inn is a non-smoking establishment. Smoking is not permitted in any rooms or common areas. Bicycles: We have a secure storage area for guest bicycles. Bicycles are not allowed in guest rooms. Required deposit: Payment of the first night, refundable until 14 days of the first night. Cancellations: It is very difficult or even impossible for us to recover any business we may have turned away due to your room reservation. As such, cancellations within 14 days of first night will be charged for the first night. All cancellations will be charged a processing fee of $20.00 to cover associated banking fees. Double occupancy: All rooms other than Grindle and Nautical are double or single occupancy only. Grindle and Nautical rooms allow for 3 guests. There is an additional $25 charge per additional guest per night, including children 2 years old and up. We are not able to provide rollaway beds or baby cribs. Please note that there is a $25 charge for changing rooms mid-stay.